The bill would move Washington's presidential primary to March 10, 2020, just one month after New Hampshire's first in the nation primary. Previously, Washington's presidential primary has been held on the fourth Tuesday in May. Washington voters will likely get to vote in next year’s presidential primaries much earlier than in past elections — perhaps while the nominees are still in doubt — after the state Legislature voted to move the primary to the second Tuesday in March. The bill would move Washington’s presidential primary to March 10, 2020, just one month after New Hampshire’s first-in-the-nation primary. Previously, Washington’s presidential primary has been held much later, on the fourth Tuesday in May. In 2016, Washington spent nearly $9 million conducting a presidential primary that was all but meaningless — Donald Trump was already ensconced as the Republican nominee by the time we voted, and Democrats in Washington didn’t even use the primary results; they held caucuses two months earlier to award delegates. 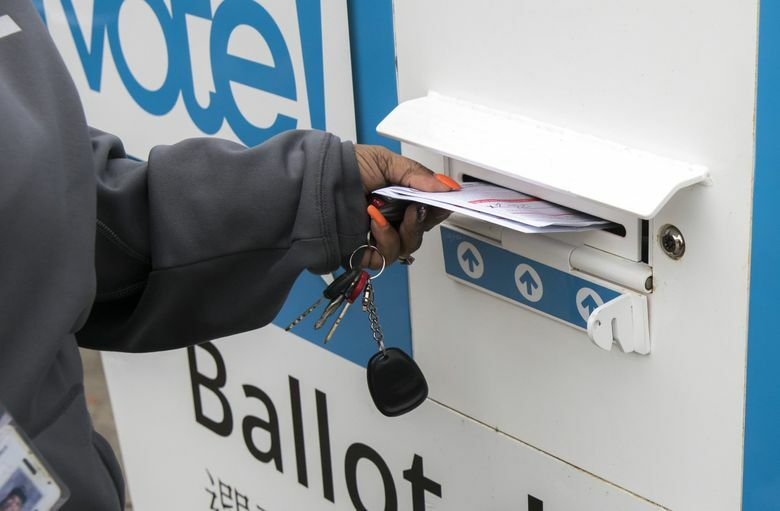 The bill the state House passed Monday, SB 5273, seeks to give state voters more influence in the nominating process, by bumping the date forward so that nominees haven’t been decided by the time Washington votes. The state Senate passed the legislation in January and it now goes to Gov. Jay Inslee for his signature. “It’s time to make our presidential primary here in this state actually mean something and actually count, for our voices to be heard,” said Rep. Javier Valdez, D-Seattle. While the exact dates for many states’ primaries and caucuses are still in flux, Washington would be somewhere around the 15th state to vote, likely joining a half-dozen or so other states on the second Tuesday in March. That would put Washington’s primary one week after Super Tuesday, when nine states, including California and Texas, are currently scheduled to vote. The bill also gives the secretary of state the ability to change the date to coordinate with other western states to make a regional primary. “Moving Washington’s primary earlier in the national process will give our voters a greater voice and draw more attention to our state’s concerns and issues,” said Secretary of State Kim Wyman, a longtime supporter of the change. Both the Democratic and Republican state parties supported changing the date, although the Democratic Party has not yet committed to scrapping its caucuses in favor of the primary. The 176-member state party central committee will decide in April if the Democrats will use caucuses or a primary to determine who gets Washington’s delegates, state Party Chair Tina Podlodowski previously said. But Monday’s vote was not so bipartisan. Currently, in order to vote in a presidential party primary, Washington voters must declare their affiliation with a party when they vote. That information is public. So while no one can know who you voted for, people can find out which party primary you voted in. Republicans in the state House pushed several amendments to offer voters the chance to vote as an “unaffiliated” voter, without declaring a party preference. “We need to open up the presidential primary process to the greatest number of Washington voters possible,” said Rep. Ed Orcutt, R-Kalama. The problem is that national political parties could refuse to recognize the votes of people who don’t publicly declare a party affiliation. Ultimately, the bill passed the Democratic-controlled House 54-42, largely along party lines. Traditionally, both parties in Washington have used caucuses to determine how presidential delegates are divvied up. In 1989, an initiative to the Legislature created the state’s presidential primary, which was first conducted in 1992. But just because the people asked for a primary doesn’t mean the parties have to use it. Democrats have continued to use caucuses to choose their candidate, while Republicans, until 2016, usually used both — awarding some delegates through the caucuses and some through the primary. In 2016, Republicans switched entirely to the primary. In 2004 and 2012, the Legislature canceled the presidential primary and both parties used caucuses.